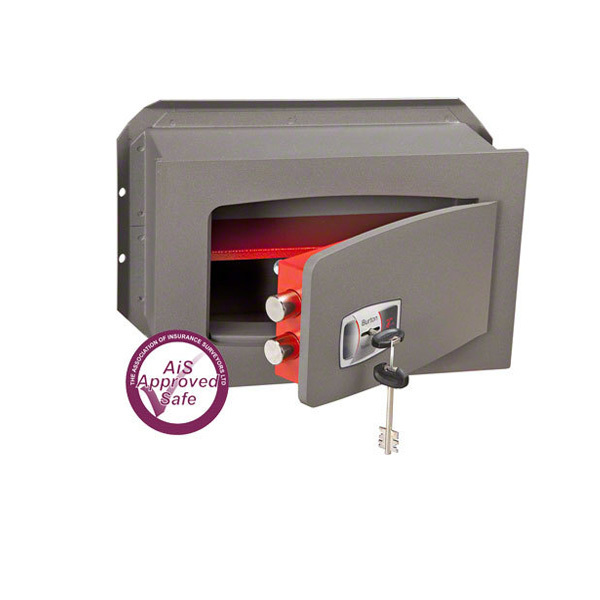 The Torino Key Wall Safe Series from Burton Safes is a stylish range of modern high security wall safes. Available in four sizes, DK/1, DK/3B, DK/4 and DK/5, designed to protect against burglary attack. Locking is provided by a high security 8 lever double bitted key lock, supplied with two keys. Constructed using a 10mm solid steel door and fitted with drill resistant plates to protect lock mechanism and bolt work. High security electronic locking available on the Torino Electronic Wall Safe Series including models, DT/1P, DT/3BP, DT/4P and DT/5P.